There are 24 days left for the end of the cycle 21-12-2012. We still are on the Moon of the Radiance Peacock, see the moon in http://ondaencxantada.com/2012/11/noosboletin-de-la-luna-entonada-del-pavo-del-esplendor/. Wavespell 15 of the Blue Night, of transformation, because it is blue. On the Galactic Archetypes the Night is the Dreamer, the Psychic Presence and the Wealth Giver (spiritual and material). The Dreamer of the long Night of the Cosmic Dream, take control of the power of the dreams, to become a manifestation of Abundance, to evolve the powers of Cosmic Love. Opens the Third Door of Universal Light of the Compassionate Court. The Night has 3 qualities: DREAM, ABUNDANCE AND INTUITION. The action is DREAM. Have you ever heard that this life is the dream and the other life is the true awakening? That´s why when we sleep and dream, connect with the other reality, even we can´t remember. Some mystic schools, recommend to learn and connect with “the clarity in a dream”, it means, recognize inside the dream what you are dreaming, that you are having a “LUCID DREAM”. In this kind of dreams you can change the reality of what you´re dreaming, leading the actions where the dreamer wants. Have you observed how the Red Queen always talk about her experiences in her lucid dreams? 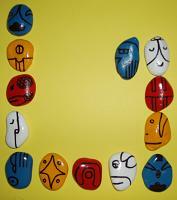 (See http://ondaencantada.com/2012/11/es-nuestro-deber-llegar-a-ser-multidimensional/ she speaks about the SECRET DREAMERS). There are books that help us to get them, but first are necessary to remember the dreams and write them in the morning. I recommend you to put special attention to your dreams, because they give us so many answers to daily matters. There is also the fantasy, the hypnagogic dream, it is when you are not sleeping, and neither awake. Resuming, it is very important to recognize our dreams, and to try to reach the conscience inside them, TO KNOW THAT WE ARE DREAMING, LIVING THE DREAM WITH LUCIDITY AND CHANGE THE REALITY IF WE WANT. Remember we pass a third of our life sleeping, and part of that time dreaming. Everybody dream, even we can´t remember the dreams. There are also techniques that help us to remember. The Power is the ABUNDANCE. This abundance, at first we wish to be material, and then there is a moment when we wish to be spiritual. As the time goes by, when we realize the evolutionary process, and when we really know that we are inside a physical body living on the Earth, we look for the spiritual wealth. Then we live our lives looking for the prominence of our interior being in our decisions. It is obvious that, like human beings we need clothes, food and home, but if we look around, we see some people has too much, and others almost anything. Then, what should we do? Do we have to reject the wealth we have? Will be good if we share with the person that has less? Am I responsible of the world order? Can I contribute from my individuality between thousand of millions of humans? Sure! Your abundance of economic contributions and materials, and blessings and prayers, when gets reunited with other people, forms a great unity and the effect is larger, and more powerful. It´s important to ask for the abundance of personal gifts, and be able to achieve our life goal, growing in conscience and love. The essence is the INTUITION. Intuition is “To perceive intimate and instantly and idea or truth, as you can see it”. The humans are intuitive beings capable of having this kind of perception. But we always try to reason and comprehend all kind of circumstances and experiences we lived, and it is clear that some doesn’t have an explanation. Do you have intuitions? Have you listened, or you just let them pass away? Do you know in this moments we have to believe in a lot of things that we can´t see or touch? Are we getting prepared for the arrive of the Noosphere? Do we ask for help to the stellar beings? How many times we heard that the world of the spirit we believe is a lie because can´t be demonstrated. Do we have to see to believe? Do we remember the first time the theme of the spiritual evolution interested us? Do you realize the entire road you walked since then? What really matters is the personal connection with the qualities of the night. We can meditate and attract the abundance to dream with the raising of our interior being. The oriental teaching says, life is “maya or illusion”, and the real life is when we realize the transit to another state of conscience, after the death of the body. Every one of us, according to the spiritual way, has their own beliefs that take them to another life with a higher level of conscience. But remember we have to respect the beliefs of others if we want respect for ourselves. The Wavespell of the Night is the last complete Wavespell before the end of the cycle in the kin 207 in the Wavespell of the Warrior. We are in a very special days. We have to pay attention to the information of the Red Queen about the events in these last days. In our personal internalization, we must prioritize the targets in a short term, because they are the foundation of future events. We must dream with the Circumpolar Rainbow, shining around the planet Earth. We have to be sure, we are in a cosmic moments, where the connection with God is closer and accessible for the planetary kin. WE MUST GET IN THE NOOSPHERE. IT CONTAINS ALL THE MIND OF THE PLANET; PERSONALLY WE MUST BE MORE PURE OF TOUGHTS, WORDS AND ACTS. THE LOVE OF THE DOG HAS PREDICTED! THE INTUITION OF THE NIGHT WILL COME WITH TELEPATHY WHEN THE MINDS WILL BE MORE PURE! DAYS OF VISUALIZATION OF THE RAINBOW BRIDGE, OF INTIMATE CONNECTION WITH THE HEARTH AND DREAM AND FANTASIZE THE TARGETS TO ACHIEVE! I DREAM THAT I KNOW THAT I DREAM AND CONNECT WITH GOD! LIFE IS A WONDERFUL DREAM! YELLOW LUNAR SEED – Kin 184 – Galactic Activation Portal! There are 23 days. The Seed helps us to identify obstacles in order to achieve the purpose of the Night. We have the polarity of the night and day, the rational and the intuitive, scarcity and abundance. With which we’re going to remain? Do we know how to act correctly? The focus in all areas is very important, because often we are confusing ourselves in hiding what we do not want to see or to do. WHAT ARE YOUR PRIOR GOALS? ARE YOU MOVING YOURSELF DOING THOSE THINGS FOR LIFE THAT YOU KNOW THAT BRING YOU CLOSER TO GOD IN THE NEW TIME? REMEMBER THAT YOU ARE THE MOST BEAUTIFUL FLOWER IN GOD´S JARDIN? PERCEIVE YOU’RE FAVORITE AROMA AND PUT YOU’R THE ATTENTION SEEING TO WHERE IT ALLOWS YOU TO TRAVEL! The Electric Chamber activates the service. How can I reach the goal? There are 22 days. Galactic signature of the Red Queen. Start of the Season of Galactic Life Force, for the next 65 days. Heptade 19, The Timelessness awakens the Intelligence. The electric tone, in this case with the Serpent, tells us what to do in order overcome obstacles and realize the purpose of the Night. It’s the moment to make always stronger and more intense between the kin the bonds of union that we are living with the Calendar of the 13 Moons. We have to unite our vital forces in order to give them to the Earth his service that she needs in these days is so important. THE EARTH NEEDS US! OUR LIFE FORCE, LINKED TO THAT OF OTHER HUMAN BEINGS IS THE KEY TO THIS TIME! FROM WHERE DO WE OBTAIN THIS STRENGTH? FROM WITHIN, FROM THE INITIATED SERPENT OF WISDOM THAT WE ALL ARE CARRYING INSIDE US. WE ALL ARE IN SERVICE BY SHAPING THE RAINBOW BRIDGE! ASKING AND RECEIVING THE COSMIC AND DIVINE HELP WE NEED! GOD, MAKE ME CONSCIOUS SO THAT I AM PURE CONSCIOUSNESS AND LOVE! The Self-existing Chamber defines the form. What is the form of the action? There are 21 days. The Self-existing tone with WorldBridger proposes the form to do what the tone three means, to overcome the obstacles of tone two and realize the purpose of the Night. Sleeping is a bit like dying, only that the place in which we wake up is different; along the way, we learn. What can we find in this awakening? I’m afraid of death? And if, sleeping, shall we awake more in this reality? Are we prepared to give way to the next life, another reality, and wake up on the other side? IT’S TIME OF MEASURING OUR WAY OF LIVING the LIFE, OUR DREAMS AND THE ABUNDANCE THAT WE ASK. THE MOST WONDERFUL DREAM IS TO SEE THE OTHER REALITY THAT THE CONNECTION WITH BEINGS THAT HELP FROM THERE IS SHOW TO US. SOUL! FORWARD! DREAM TO THE WONDERFUL BEINGS THAT FROM THE OTHER SIDE OF THE VEIL TAKES CARE OF US! AND TEACH US DO YOU KNOW THAT THEY ARE MANIFESTING IN THIS REALITY IN THESE MOMENTS? There are 20 days. Today we enter in the last 20 days before the end of the cycle on 12/21/2012 there will be with kin 207, Blue Crystal Hand. Therefore in these 20 days we will make a special contact with the qualities of the seals, feeling step by step that they are converted into the 20 Galactic Archetypes. http://ondaencantada.com/2012/11/21-arquetipos-galacticos-4/ . We are going to know them and to lean on them possibly to learn about their identifications in us, to obtain our most desired dreams, the Healing of the HAND, THE ARRIVAL OF THE NEW TIME 13:20, OF THE NOOSPHERE, OF THE GALACTIC CULTURE, OF THE SUPERCONSCIOUSNESS, OF THE HOLOMENTAL PERCEIVER. LET US PREPARE TO EXPERIMENT THESE NEW ENERGIES. LET US MAKE EVERY DAY A MEDITATION WITH THE SEAL OF THE DAY –KIN VISUALIZING HIS AREA WHICH CORRESPONCENTS WITH THE HOLON OF THE PLANET, AND SURROUNDING THE PLANET WITH THE CIRCUMPOLAR RAINBOWBRIDGE (See the Planet Holon in http://lawoftime.org/wp-content/uploads/2011/12/Holón-del-Planeta.jpg). YOU CAN SEE IT HERE AS WELL IN THE ALBUM!! LET US VISUALIZE THIS IN EACH MOMENT OF THE DAY WHEN WE CAN! THIS IS OUR PERSONAL CONTRIBUTION IN THIS MOMENT! IN THESE ARE DAYS WE MAKE A LOT OF ATTENTION TO THE COMMUNICATION OF THE RED QUEEN WITH RECOMMENDATIONS FOR THE END OF THE CYCLE! UP TILL HERE WE HAVE ESTABLISHED THE GALACTIC BASE OF THE OPERATION! The Rhythmic Chamber commands equality. Administer the challenge. There are 19 days. See the Galactic Archetype 8 of the Star: THE ARTIST. Today we begin to expand the rhythm of the action with the Star. He teaches us to make art with every thought; action and word, to be able to be pure harmony and the qualities of the night can be ours. Am I a person of abrupt reactions? Do I smile with ease? Is Forgiveness a part of my daily actions? Do I apply the words «forgive but not forget»? Or, conversely, the first thing I say and I think it is, «Never mind, we can all commit mistakes, we are all on the path and we are all learning, today it happened to you but tomorrow it can happen to me»? REMEMBER TO VISUALIZE THE SIGN IN THE HOLON OF THE PLANET! WE HAVE THE STAR IN THE PATH OF DREAMS THAT GUIDES US EVERY NIGHT TO MAKE US MORE AWARE OF THIS PART OF LIFE THAT BUT WE DO NOT SEE BUT THAT REALLY EXISTS, ALTHOUGH LATENT. REMEMBER, WE ARE ALL EQUAL IN FRONT OF GOD AND THE WAY IS FOR ALL THE SAME. THAT WHAT COUNTS IS THE WAY AND IN WHICH WE ARE DRIVING THROUGH IT AND THE COMPANY THAT WE ARE LOOKING FOR. THE STELLAR BEINGS ARE THE BEST COMPANIONS OMN THIS JOURNEY! THE BRIGHT DREAMS ARE A GOOD GUIDE FOR THE TRIP! YOU ARE NOW THE STAR TRAVELLER IN TRANSIT ON EARTH! REVIEW THE MAP OF YOUR JOURNEY AND WATCH THE FINAL DESTINATION! RED RESONANT MOON – Kin 189 – Galactic Activation Portal !!! The Resonant Chamber inspires the tuning. Tune in service with action. There are 18 days. See the Galactic Archetype 9 of the Moon: The Healer. We have reached the day of channeling, when the moon turns to get the purpose of the Night. The inspiration to purify can come through the abundance of spiritual gifts that we all have. Search for yours, they will be required at this time, because they are your treasures, that you will bring to the New Time. Ask your dreams to help you to know everything that you keep inside, since you have to flow with life. Do you have dreams of liberation? Did you ever have nightmares? You enjoy sleeping and dreaming? Do you have wonderful dreams? Are they like the visions that you have when you meditate? Have you ever found similarities between experiences of meditation and lucid dreams? Do you experience the purification of your emotions with increasing rapidity? DREAMS ARE ALSO A GOOD WAY OF CHANNELING THE ENERGY, RECEIVING MESSAGES FROM SPIRITUAL WORLD. ASK YOURSELF EVERY NIGHT TOLEARN REMEMBERING YOUR DREAMS NEXT MORNING. DREAMING IS A PROCESS OF APPRENTICESHIP: REMEMBERING DREAMS, KNOWING WHAT THEY TELL YOU, HAVING VIVID DREAMS AND FINALLY REACHING THE LUCID DREAM AND START NAVIGATING BETWEEN THEM! TRAVEL EVERY NIGHT FLOWING AND CHANNELING, ASKING FOR INSPIRATION FOR THE NEXT DAY! EVERY LUCID DREAM IS A STEP AHEAD TOWARDS HIGHER CONSCIOUSNESS! The Galactic Chamber models integrity. The action obtains the shape. he taught us to feel. The maximum harmony is when we live with love, and integrity is part of the way we behave. If we think, say and act in the same way, we are in harmonic connection with our loyalty, while the dissonance to act in a different way creates in us an interior alteration. THE BEST SOLUTION IS ALWAYS THE EASIEST ONE: FEEL THIS LOVE TO OTHERS AS A CONTINUATION OF THE LOVE OF GOD. WHENEVER YOU CAN, STOP YOUR MIND, BREATHE WITH CONSCIENCE AND FEEL THE LOVE THAT FILLS ALL THE ATOMS OF THE BODY! The 720 MILLIONS NADI REFILL THEM OF THIS LOVE! YOUR BODY VIBRATES AND YOU SMILE AT THE LOVE THAT YOU ARE! Solar Tower formalizes the action. The action puts itself in movement. There are 16 days. Look at the Galactic Archetype 11 of the Monkey: The MAGICIAN. The magic is back, brought by the Monkey. Is it a game for you to perceive life like a dream? Do you remember that your internal child needs to feed on other energies, different from the ones for the physical body? The Monkey helps the Night to connect with all the potential of abundance and intuition we have been born with. It is the moment to practice all what we learned in the years of the life we are living, and all what belongs to the luggage we carry from previous lives, even if we don’t remember them . But we still have the result here and now. You live experiencing all what you brought with you at your birth, with the purity of the heart and the memory of what you were; like now, that you know what you are and what you are doing here and now in this life. THE CIRCUMSTANCES EXPERIENCED DAY BY DAY LET US GET AWARE OF THE ILLUSION; THAT OFTEN LEAD US TO DECEIVE OUSELVES: HOW? LEAVING THE IMPORTANT THINGS FOR ANOTHER MOMENT TO BENEFIT THE SUPERFLUOS ONES! IN THESE MOMENTS WE CANNOT PLAY BLIND AND SAY THAT WE CANNOT SEE! THE VISION HAS TO BE INTERIOR, AND THEN KEEPING THE EYES CLOSED WILL HELP US TO GO INSIDE OF US! ENJOY YOUR INTIMACY WHILE YOU ARE PLAYING YOUR LIFE! ESTABLISH YOUR RULES AND WIN YOUR GAME! REACH YOUR GOAL WITH HAPPYNESS! The Planetary Room perfects the manifestation. Action and Challenge meet. ON YOUR LIFE, ON YOUR FREEDOM! THE HUMAN, SINCE THE NIGHT OF TIMES, HAS LEARNED TO BE PEACEFUL, HAPPY, AWARE AND LOVELY! THAT HUMAN ARE YOU AND ME AND ALL THE OTHERS! PERFECT YOUR RELATIONSHIP WITH YOURSELF AND WITH GOD! The Spectral Chamber sets free from the service. The Action dissolves the service. There are 14 days. See the Galactic Archetype Nº. 13 of the Skywalker: THE PROFET. Today is a special day. We free ourselves connecting with the Skywalker exploring the outer and inner space searching for the divine qualities that we have been given for the latter period of the end of the cycle and for the beginning of the next cycle. Did you realize the path you have been walking in recent times? Did you watch over your thoughts and dissolve the disharmonious ones? Did you get free and tell about the efforts you made to get connected with the superior energies? Did you explore in your being new ways to get more sensitive towards the spiritual world? Do you know that we are living in the most special moments of history of the spiritual evolution? Are you in some way getting ready for the moment of the end of the cycle and the advent of telepathy and other psychic qualities of a superior being? We have to be vigilant in our actions, movements, reactions, thoughts, emotions, dialogs, readings, dreams searching for the special personal keys to improve our consciousness. This process will lead you to be more tolerant and most of all to LOVE like the Dog teaches us. Nothing and no one should have power over us we are the only masters of our actions. GOD, ARE YOU THERE? I NEED TO HEAR AND FEEL YOU LIFE MANIFESTS ITSELF EACH TIME MORE HARMONIOUS AND BRIGHT. I ASK YOU TO HELP ME TO CARRY THIS LIGHT WITH ME SO THAT I CAN REFLECT IT WHEREVER I GO WITHOUT ANY DISCRIMINATION. WE WALK ON EARTH WITH WINGS OF LIGHT- KNOWING THAT THE GOAL IS TO REACH THE SKY! GOD, SEND YOUR SPECIAL MESSENGERS SO THAT THEY CAN HELP ME! I AM WAITING FOR THEM! SEND ME A SIGNAL BY DAY OR AT NIGHT IN THE DREAM! The crystal chamber, the cooperation of the form. The round table is set, the past action is formalized, and the future action gets ready. can be expressed through us. For these moments we have been waiting many years and finally they begin to take shape. WE ARE ALL WIZARDS OF EARTH WHO SHOW THE OWN ENCHANTING POWER IN ORDER TO UNIVERSALIZE. IT IS A DAY OF RECALLING THE PAST YEARS AND BEING GRATEFUL FOR BEING HERE AND NOW AND COOPERATES IN THE CHANGING OF EARTH. WE RELY ON GOD’S HELP AND OF ALL CELESTIAL AND SUPERIOR BEINGS WHO ARE WAITING FOR US. REMEMBER: TO BE A WIZARD OF EARTH YOU MUST BE EARTH! NO TRACE OF FEAR NO TRACE OF RESENTMENT NO TRACE OF PRIDE NO TRACE OF SELF-PITY! BUT ALL THE COURAGE SELF-UNDERSTANDING FORGIVENESS AND UNCONDITIONAL LOVE! WE HAVE ALREADY DONE THE PLANETARY TRANSFORMATION FROM ACTION. The Cosmic Portal starts the magic flight. Magnetic come back. There are 12 days. See the Galactic Archetype Nº. 15 of the Eagle: THE SEER. We reached the day when the wave of the Night ends -with the Eagle, which creates and preserves the universal vision of all we experienced, and helps us to see the horizon of the New Time. When our ankle to watch life will be the Noosphere, in the time 13:20, the Eagle will show us this new vision made from the enchantment that we as WIZARDS OF THE EARTH dreamed and manifested. The Rainbow Bridge is about to show us its colors and its light to everyone on the planet Earth. Did you get aware that your light is increasing too? Did you transcend the last emotions still rooted in you? Do you see life with other eyes? Do you know the difference between the social and economic situation, and your interior life? Did you dream about the New Time? Did your most important dreams manifest on the spiritual level? Do you remember those Lucid Dreams we talked about at the beginning of the Wave of the Night? Because of them we’ll have more consciousness on all levels and we’ll be able to connect with higher energies and higher beings. WITH THE SUPERIOR MIND WE CREATED A DIFFERENT WAY OF LIVING OUR LIFE AND GETTING CONNECTED TO THE INTUITION. IT IS SOMETHING WHICH IS NATURAL TO THE HUMAN BEING. THE OUTER ENVIRONMENT WILL BE HELPFUL, BECAUSE IT WILL STOP TO BE CONFUSION. WE BREATH, CLOSE OUR EYES AND ENJOY THESE MEDITATION MOMENTS WHEN THE MIND IS AN OASIS OF PEACE, WITHOUT THOUGHTS OR EXPECTATIONS. DAYS OF PREPARATION, OF DREAMS, CREATION, BELIEVE, VISUALIZING THE NEW, WAITING WITH A LOT OF MOVEMENT AND LOVE. THE RAINBOW IS MANIFESTING ITSELF! VISUALIZE IT ALWAYS, EVERY TIME YOU CAN! IS THERE ANYTHING MORE BEAUTIFUL THAN WATCHING A RAINBOW IN A STARRY NIGHT? THIS WILL BE OUR HIGHEST REALIZATION! WHAT DO YOU THINK OF IT? GOD’S LOVE MAKES EVERYTHING POSSIBLE. ASK AND IT WILL BE GIVEN TO YOU! REMEMBER, THE NIGHT IS THE INTRODUCTION OF THE DAWN! AND FROM HERE WE COSMICALLY TRANSFER TO THE WAVESPELL OF THE YELLOW WARRIOR, WHERE THE END OF THE CYCLE WILL TAKE PLACE, IN KIN 207, AND WE REALIZE THE MAGNETIC COME BACK ENTERING THE CENTRAL GREEN CASTLE OF THE ENCHANTNMENT AND THE ENCHANTED WAVE OF THE RED MOON. Translated by: Verónica, 13 Storm México and Christina 8 Storm.